Niantic decided to join Arcticuno in the raid, and the bonuses would last until midnight between Monday and Tuesday. 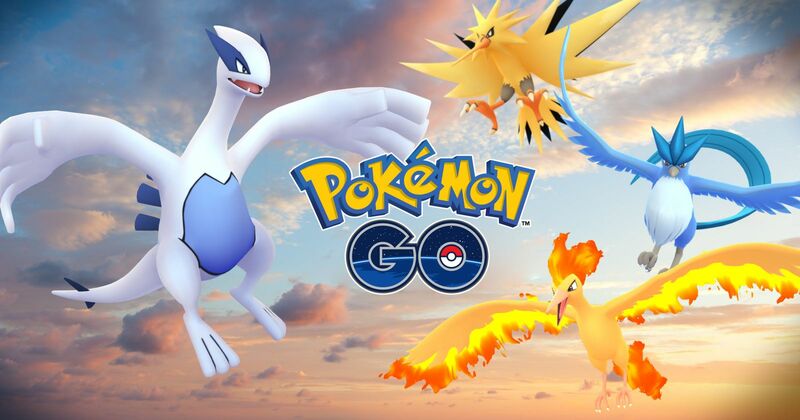 It reported that Niantic in raids will only release Lugia - such were the original announcement and most likely the producer himself Pokemon GO decided to accelerate the introduction of Articuno at the last minute. These trainers also played a major role in introducing Lugia as the first legendary Pokémon to play the game. In addition, the number of Pokemon captured during GO Fest by Team Instinct, Team Mystic, and Team Valor has been counted and the winner is Team Mystic! Niant6ic decided to add Articuno to Lugia in Raid Battles everywhere at the same time. Do not worry about Team Instinct and Team Valor, the Legendary Pokemon Zapdos and Moltres will also appear in the real world soon. It is worth adding that the reduction of the distance to the bud and the hatching of eggs is three times (three times less than normal). Remember that the bonus is attributed to the incubator - only when you use it, the egg will require a shorter distance. The raid eggs do not currently have a counter - the Pokemon is immediately "hatched" and you have two hours to participate in the raid. Legendary Pokemon guarantees you, of course, more prizes and experience points.